The Met West Community Garden is in need of good mulch and your help is needed. If you're tossing out a tree this weekend, consider recycling it locally. Community garden volunteers will convert your tree into mulch for the 2013 planting season. Drop-off location is the alley at 1721 W. Ohio. The Chicago Grand Neighbors Association, Ald. 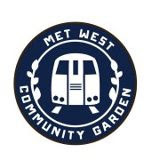 Proco Joe Moreno and the Met West Community Garden will conduct the tree recycling drive from 10am to 4pm Jan. 5 & 6. Streets & Sanitation crews will mulch trees at 23 locations through Jan. 18.